South, contributing to an historic victory for Fine Gael in the European Elections, polling 92,579 first preferences. 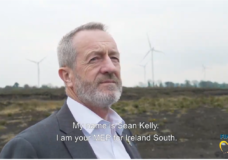 Seán Kelly is a member of the European Parliament for Ireland South. 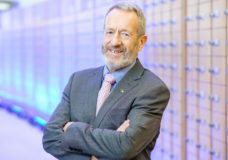 As a member of Fine Gael, Seán is in the European People's Party which is by far the largest and most influential group in the European Parliament. 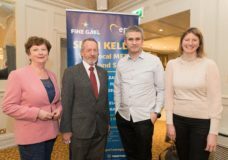 Among the most active MEPs of the Parliament, Seán has been honoured as 2012 MEP of the Year for Research and Innovation and 2014 MEP of the Year for Digital Agenda. 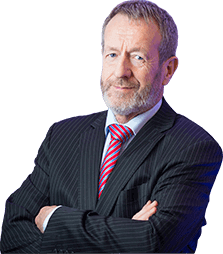 Seán is a former President of the GAA and former Executive Chairman of the Irish Institute of Sport. As the only Irish member on the International Trade Committee, international trade is a priority of mine. The chief responsibilities of the INTA Committee relate to the European Union’s common commercial policy and its external economic relations. My lead committee in the European Parliament is the Industry, Research and Energy (ITRE) Committee. The ITRE Committee is one of the most active ones in the European Parliament, ranking near the top in terms of legislative files. As a result, the decisions taken in ITRE have a direct impact on the daily life of citizens and the European economy. In early 2017, I was delighted to take on an extra responsibility and become a member of the Fisheries Committee (PECH) in the European Parliament. This committee deals with the functioning and development of the Common Fisheries Policy. Its tasks are to care for the conservation of fishery resources in the EU and to organise the EU’s market in fishery products. The Committee also deals with international fisheries agreements. The Brexit vote was certainly a great disappointment to all of us that believe in the values of the EU project. However, this is the situation that we face, and it is one that will certainly prove to be extremely complex. The UK government’s vow from the offset to rule themselves out of both the Customs Union and the Single Market have left us in a position in which options for a post-Brexit arrangement are significantly narrowed.